Handmade terracotta bottle. Burnished, bisque fired and rubbed with bees wax for smooth finish. 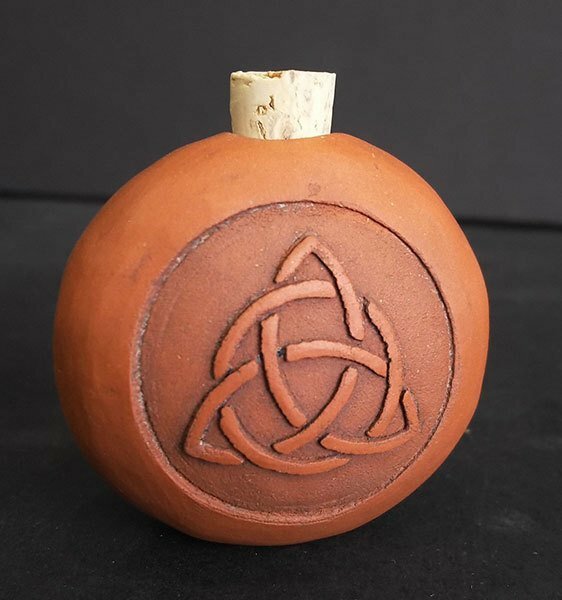 Embossed with celtic knot pattern. Custom embossing available. Email for inquiries. In business since 1979, we offer custom t-shirt printing for businesses, churches, schools, and other special events. Coming soon, our art studio will be open, offering handmade art and craft accents for home and garden.